*CURRENTLY LEASED* No NNN, tenant pays electric and landlord pays water. This property is ready for occupancy. This location is ground level on the corner of East Alamo and South Park across from the courthouse. It is approximately 4000 sf and has been previously leased as a retail location. It includes one kitchenette and one bathroom. 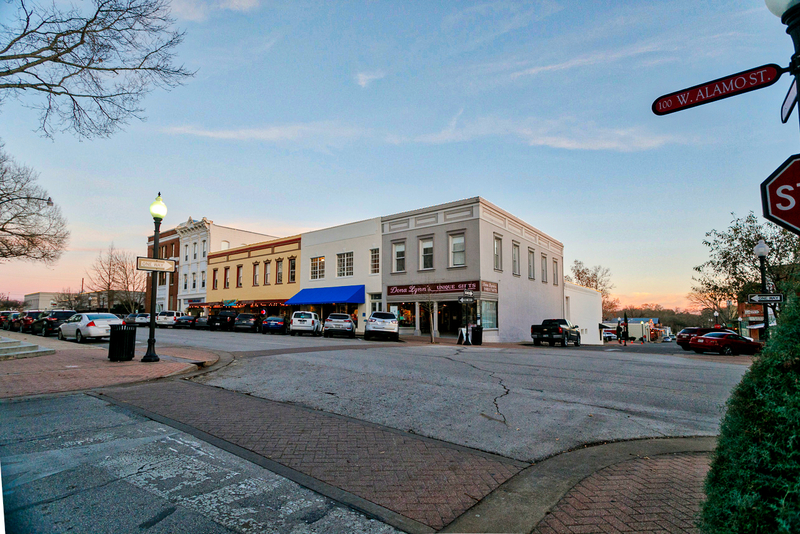 Excellent location on the square in downtown Brenham. It is believed that this building was constructed in the late 1800's and to have been a place where cotton brokerage was performed. There was a skylight added in the building to provide natural light in order to grade the cotton. Throughout the years, this building has been professionally renovated and now operates with modern conveniences.